William Lionel WYLLIE R.A., N.E.A.C., R.I., R.B.A., R.P.E. 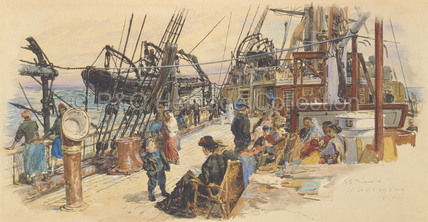 The artist, William Lionel Wyllie, noted the exact position of the ship 'S.S. Peshawar Lat 36' 2' N . Long 8' 14' W' on his sketch.